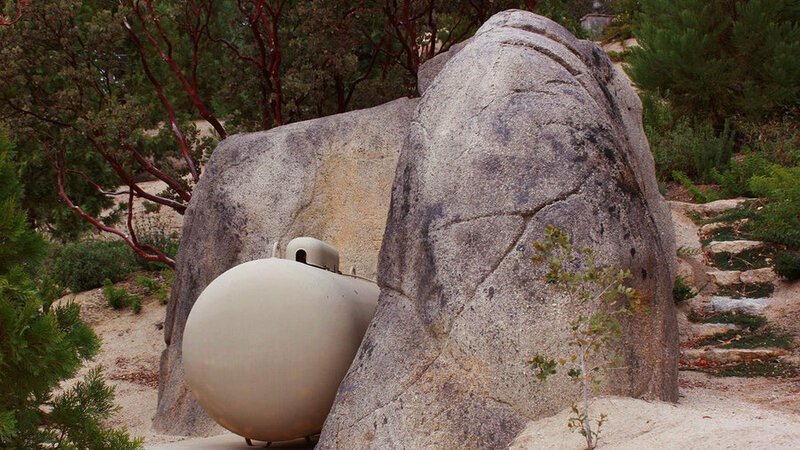 This created granite formation hides a propane tank and becomes part of the landscape. This project also serves as a screen between the clients' property on the right and the neighbors' property on the left. We were able to build up the soil to the right and build a rustic, thyme infused, stairway to the upper part of the landscape. This stairway is built within a massive faux rock retaining wall. The granite formations on the left and the right of the stairway are structurally continuous with concrete and steel. 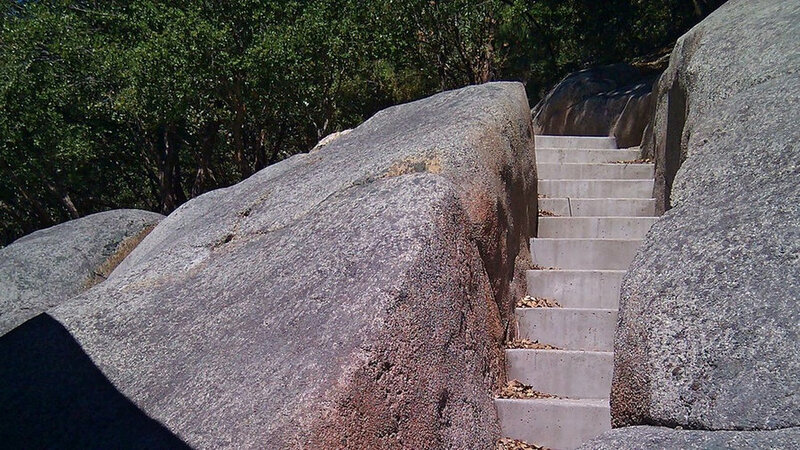 The steps were installed after the completion of the faux work so that it would look like we installed the stairway within an ancient natural crack in the granite. This faux rock surface was designed to look like a discovered granite formation. It is approximately 30' in diameter, with a naturally varying edge. Although it looks natural, it is actually functionally level. The hot tub is perfectly level on this surface. These colors were chosen to match the mineral staining on nearby granite. The color possibilities of this kind of work is really quite wide. 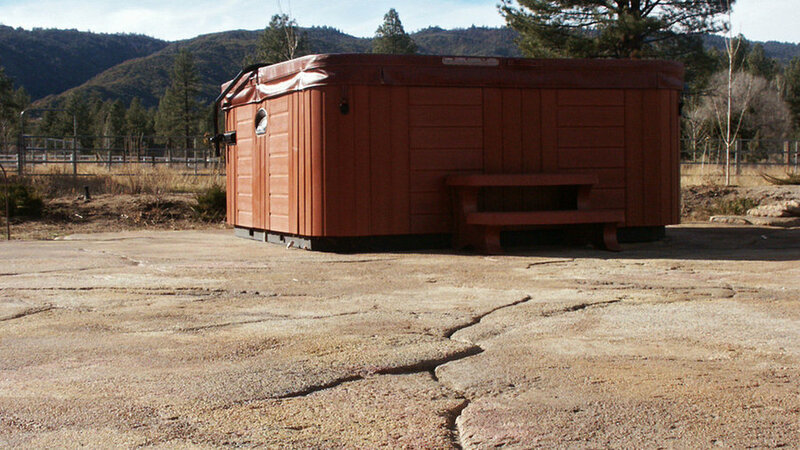 The granite staining could be just about anything. 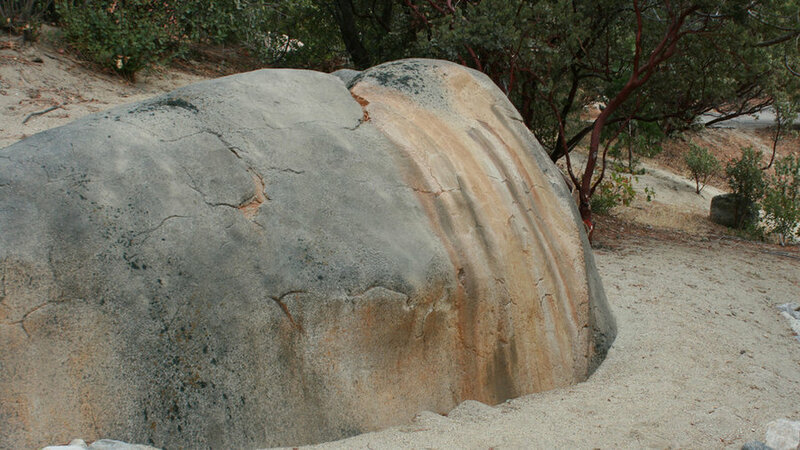 Here, the browns represent the mineral colors within the the structure of the local granite. The grays, in this case, match the lichen growth of the boulders in the area. The green speckled built up parts match the moss growth of the nearby boulders as well.